It’s round two and after the upsets and mishaps of Melbourne, the season well and truly kicks into gear in Bahrain this weekend. 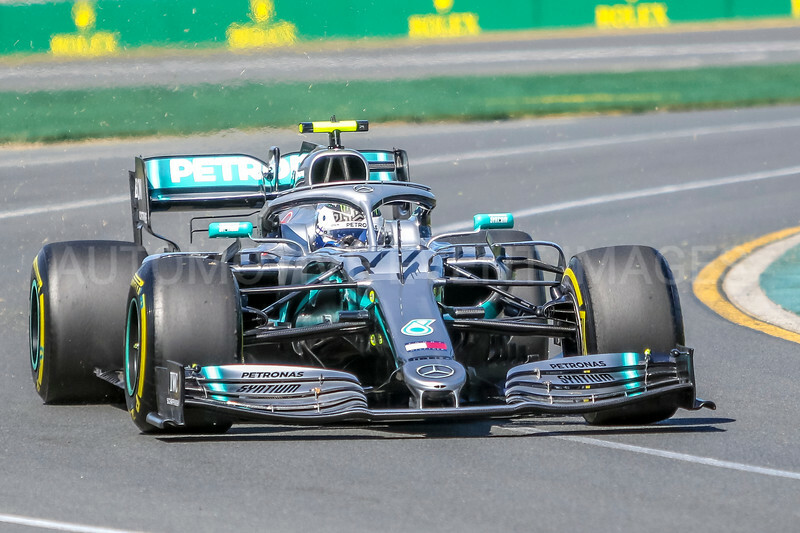 Valtteri Bottas heads to the Sakhir circuit with the largest ever single race points haul for a driver in the bag thanks to a phenomenal 1m25.580s tour of Albert Park that brought him the first point for fastest lap since Maurice Trintignant bagged the bonus at the 1959 United States Grand Prix at Sebring. Is it the shape of things to come for a driver who set the quickest time in seven races in 2018? We ask F1 Technical Consultant and former Williams engineer Rob Smedley for his views on F1’s quickest competition and how teams will tackle the pursuit of those precious bonus points across the season. Plus, we take a look at the most important stats of the weekend including the prospect of a landmark points total for Valtteri, a super seventh in sight for Ferrari and a chance for Lewis to match Seb’s starting superiority in Bahrain. We saw a huge willingness on the part of drivers and teams to race for the fastest lap in Melbourne. Did you expect the competition to be that fierce? Definitely. I think Lewis Hamilton hit the nail on the head in Australia when he said that across the course of the season that competition could be worth 21 points. And though it’s probably unlikely, if you win them all, it’s almost an extra race win. Although it seems like a small thing to the guys at the front who are picking up 25 or 18 points, it’s still a reasonable percentage of your total points haul and quite often championships come down to one or two points. I’ve certainly been involved in championship battles myself on a number of occasions where it has been decided by a few points. I think the important thing to get across is that it might seem like a relatively small gain, but when you are in a team and you are desperately hunting for those marginal gains, when you’re scrabbling for any competitive advantage you can get over your rivals, a point is a huge thing. That’s especially the case for the smaller teams but even a team like Mercedes will be desperate to get that single point and the advantage it brings. It wasn’t clear cut that Valtteri would go for the lap, as it seems the team didn’t want to risk a pit stop. Will the top teams be cautious in their approach to fastest lap? Actually, I think the top teams will definitely go for it. As I said, if you win them all it’s like an extra race win. In the constructors’ championship it’s like having a third driver in your squad. Every time you do something in a race there’s a risk. Many times in races I’ve been in the position where you think: ‘There’s a big enough gap, we have a free pit stop, do we take it?’ It isn’t a black and white decision. Yes, the free stop might be there, but even though you’ve got every trust in the guys on your pit crew, you’re introducing a variable that didn’t exist before. There is a risk and running a race correctly is all about risk management. If you’ve got 25 points on the table, do you want to take that pit stop in the hope of gaining an extra point? The risk is small but it is still there. Something could go wrong and you don’t come out with 25 points, you finish in second place and though you’ve gained a point, you’ve dropped six. That’s the call teams at the front will have to make, and that has to be balanced against the appetite of your immediate rivals to take that risk too. Are they in damage limitation mode and then seeing that extra point as clawing back a part of advantage you’re getting by beating them? Are you going to counter that to frustrate them? Are there other players in the game that make taking a risk less likely to bring a return? Those are sort of strategic decisions the front-running teams will have to make and they’ll make those on a case-by-case basis. Will any tendency towards conservatism, for bringing a car home, dissipate as the season goes on and the battles tighten up? It depends on where you are in the championship. In the early part of the season everyone wants to maximise any opportunity to gain an advantage but there will be a tendency towards caution if the risk appears too great. But in the final handful of races, when those points could make a big difference in where you finish in the Constructors’ Championship – and there’s a financial implication in that – then I think where the balance of risk will shift and they might be more inclined to push closer to the edge of what’s achievable. It’s very hard to know how teams will react and I think it really is going to come down to the situation that exists in each race. What I do think you will always see, though, is the driver going for it. That’s just in their nature. 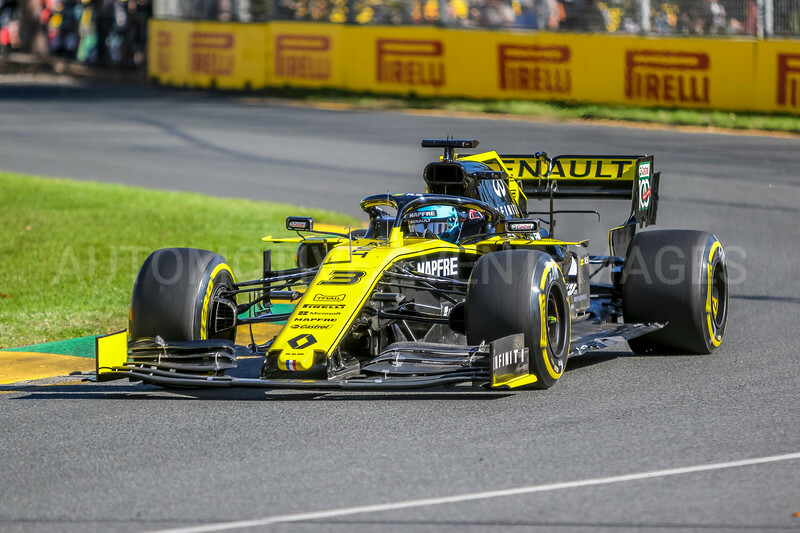 In Australia, the radio communications were full of drivers asking what the current fastest lap was and whether they could go for it. Absolutely, and the great thing was that there was nothing contrived about it. There was a real desire to claim that point. The first example of this new regulation has been a great success – people are talking about it, there’s real value there and the drivers are genuinely pushing. It’s brought a new element of competition to a grand prix – because previously there might have been a sizeable element of just bringing the car home at the end of a final stint – and it’s highlighting the skill of the drivers too. You’re seeing their ability to really go for it on tyres that might not be at their best and they’re putting in the times. It’s impressive. It also brings an added element of strategy to the race as you’re going to have teams and drivers who, if they can, will be planning to look after their tyres better than their rivals so they have that margin at the end of the race for a shot at that fastest lap. Of course there will be races in which some teams will need every last bit of the tyre to get to 25 points, or 18 or 15, and they won’t have the capacity to go for it. Or you might have a situation where a driver has spent time bottled up behind someone and has taken a lot of life out of his tyres and is through no fault of his own ruled himself out of the contest for fastest lap. That will leave the door open for others and there’s genuine excitement in that. There are a million different scenarios that we will see play out, but the main thing is that we have added an element of competition to the end of a race that might not have been there before. There’s a different dynamic now. If it had been you on the Mercedes pit wall last weekend, what would you have told Valtteri? Just do it. I think we tend to forget how good these guys are. People like Valtteri aren’t rookies. He knows what he’s doing and he knows when he’s driving within himself. He’s not going to go and do the lap of his life right on the ragged edge if it’s going to jeopardise those 25 points. They’re too professional for that. When you’re managing drivers during a race you’ve got to let them operate in their area of expertise. You have to trust their ability. If a driver thinks he can do it, he will do it. I can almost guarantee that if a professional driver doesn’t think it’s on, he will come back and tell you it’s not possible and they will be really clear about it. But if the possibility is there, then they will absolutely go for it. There have been suggestions that in a normal race the most likely spot for a driver to score fastest lap from, is the last runner from the top three teams. This is the place where there’s a strong likelihood of a free pit stop to the cars behind. Would you agree with that? It’s not a given. Very often the guy in third has a sizeable gap but on the balance of probability yes, should the top three teams be doing their job, then the last of those runners probably has the best chance of a free pit stop. But it still doesn’t mean he’ll come away with fastest lap. Plenty of variables can come into play. 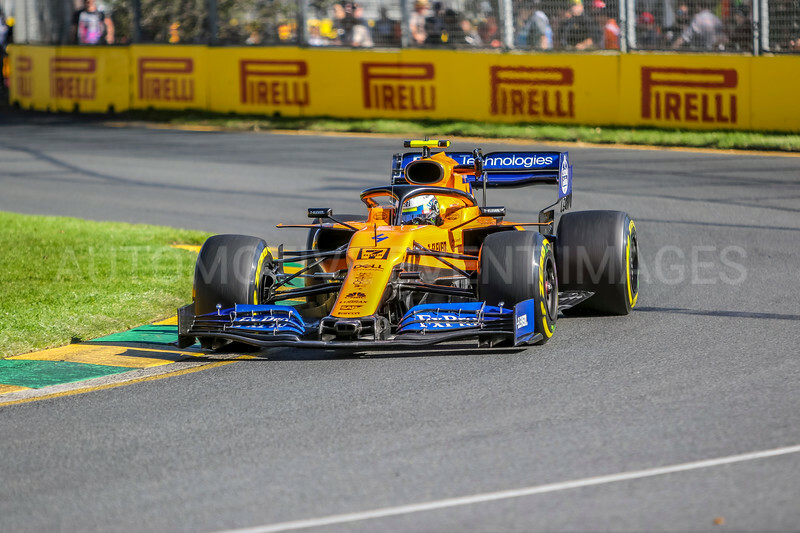 Equally, that gap might exist within the midfield – we have seen it before on occasion – and for those teams that extra point can prove extremely valuable in a very tight constructors’ battle. In the normal scheme of things it is more likely that the gaps between P7 and P10 would be tighter and they’ll be trying to set that time on used tyres, so that might rule them out of the equation. But if they do have that free stop and get a tyre advantage over the top teams who might be protecting what they have, then it could be very interesting. 4 wins for Sebastian Vettel at the Bahrain International Circuit. The German’s victories for Red Bull in 2012 and 2013 and for Ferrari in 2017 and last year make him is the most successful driver at this track. Vettel’s superiority in Sakhir is confirmed by his place at the top of the list of pole position starters, with three. Lewis Hamilton has the chance to match Vettel this weekend. 5 Vettel is not the Sakhir specialist on the grid, however. Former Ferrari team-mate Kimi Räikkönen holds the record for most podium finishes at this circuit, with eight. Even though he never managed to win this race, the Iceman scored a hat-trick of third places from 2005-’07, the first two with McLaren and then with Ferrari. He has finished second five times – in 2008 and in 2015-’16 with Ferrari and in 2012 and 2013 with Lotus. 41 - if Lewis Hamilton sets the fastest lap this weekend he will move clear of Alain Prost for third in the all-time list of number of fastest laps. Only Kimi Räikkönen (46) and Michael Schumacher (77) have more. 11 points are missing to Valtteri Bottas to reach the 1000-career point target. The Finn currently sits on 989 points. 6 Ferrari has six wins in Bahrain, making it the most successful team at this race. Aside from Vettel’s two wins in 2017 and 2018, the Scuderia has also found its way to the top step with Michael Schumacher in 2004. Felipe Massa in 2007 and 2008 and Fernando Alonso in 2010.